Lutify.me | How can I change the strength/opacity of the 3D LUTs in Adobe After Effects? How can I change the strength/opacity of the 3D LUTs in Adobe After Effects? 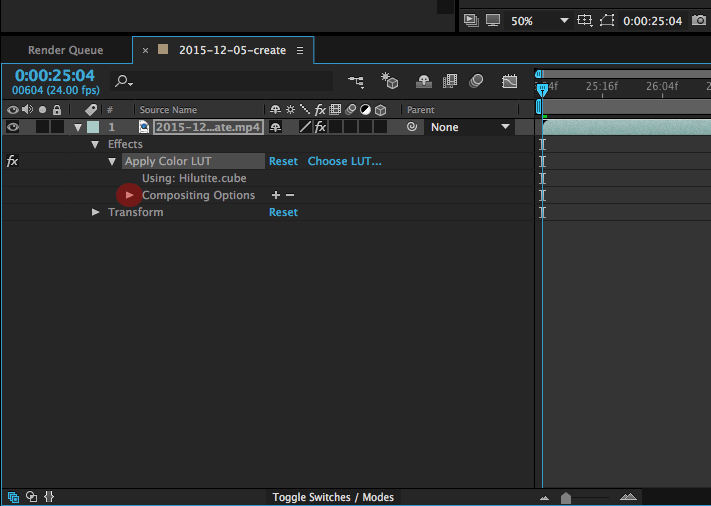 Adobe After Effects offers an easy way to increase or decrease the opacity/strength of the applied LUT. While there are many techniques in Adobe After Effect to change LUT’s opacity, we’ll cover the most basic ones in this document. 1. 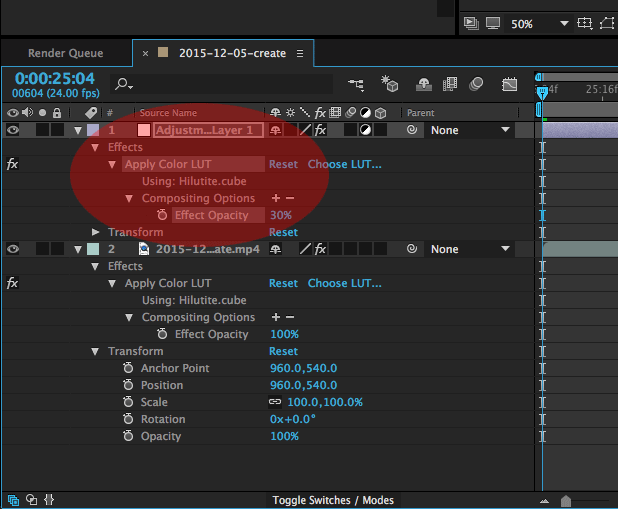 Follow steps 1-4 in the document “How do I apply 3D LUTs in Adobe After Effects?” to apply a LUT to your footage. 2. 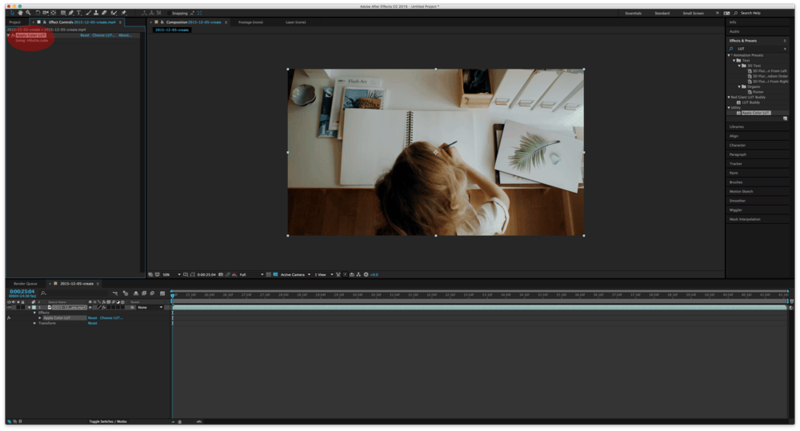 In the Effect Control panel double click the Apply Color LUT option. 3. 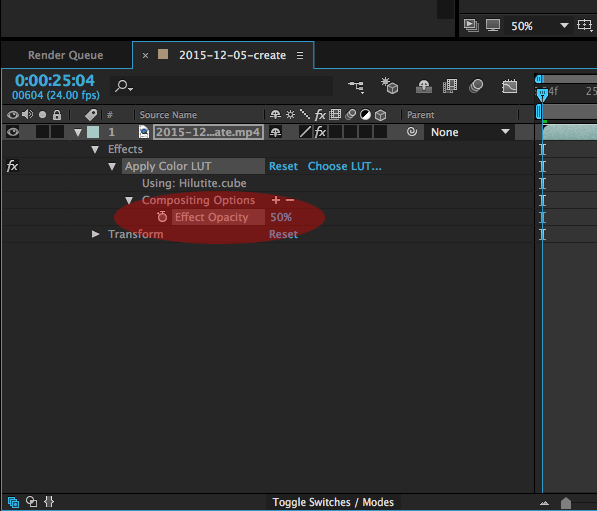 In your timeline panel, in the lower left corner, click the little arrow next to Compositing options. 5. You’ve successfully lowered the strength/opacity of the LUT. 1. Start by creating a new adjustment layer. Right click in the timeline panel, in the lower left corner and choose New > Adjustment Layer. 2. Drag and drop the Apply Color LUT option from the Effects & Presets window onto the adjustment layer and choose the appropriate LUT. 4. Repeat steps 1-3 if you’d like even more profound effect. 5. You’ve successfully increased the strength/opacity of the 3D LUT.